Best Supporting Actor Nomination - Rajkumar Yadav for Kai Po Che! 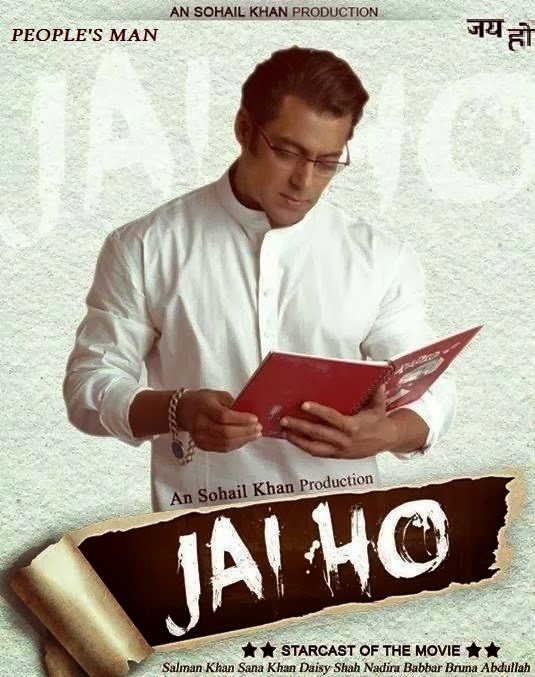 Jai Ho (People's Man) - One small idea that multiplies into a big thought to keep people together, to see them extend help, an aim to claim 'being human', to act on what is right as a Veer/Hero, to go beyond fear (Darr ke aage Jeet hai); is what this movie about. Rest all elements do not matter. The fact that this movie is a remake of not so successful attempt made earlier itself is appreciable, to see that the concept should reach more audience and people should get that strongly and put it in practice. Well, practice makes a person perfect and practicing this thought, makes a Person. This film is not for profits and the commercial elements included in it are to ensure today's viewers are pulled together to get the actual thought in it. Salman surely is a People's Man on this act. Those who cannot act on this thought, least they could appreciate his act by watching it. Possible that it awakens the 'Sota hua Sher/Sleeping Tiger' one day. 'Jai Ho' means 'Be Victorious' and it is only a treat and no retreat for the fans, but with a message. 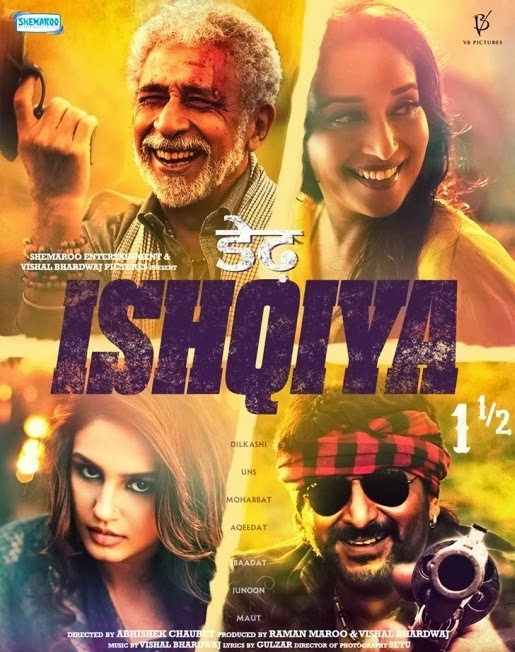 Dedh Ishqiya - Bolder than the older, this movie has got gripping story, smooth screenplay, performances worth complimenting and other elements ably complementing. Shah and Arshad find their match in Madhuri and Huma as partners in crime in rendering their roles without hindering loop holes. Dialogues of 'A' grade add more spice to reach the target audience. The settings and costumes truly depict the time and protrude the admirer and dame. Once again Arshad gets into the skin of the character with such an ease to please the viewers, Shah aptly competes punching above his age, Huma is pretty in her role of petty presence, Madhuri is assuring in glimpses and Vijay Raaz is Lajawaab as the Fake Nawaab. The Urdu language used for most part of the script is of high quality and seems of over quantity though sub-titles are given (which actually prove to be a distraction) and very little scope for Madhuri to showcase her dancing skills (during end credits and a fraction) seems unforgiven. Well, understandably Madhuri as Begum Para could not rise body's Para (temperature) indicating that age catches up everyone fast even if someone is matchless in the past. Nevertheless, the movie is Dedh (1.5) times worth the cost. 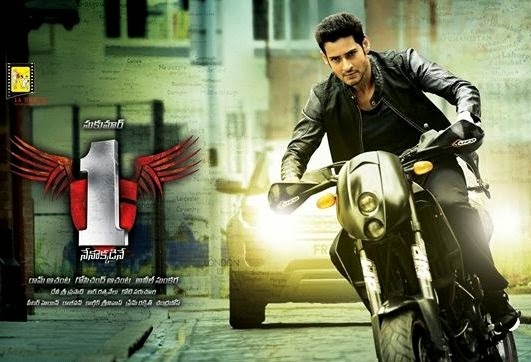 One Nenokkadine - One movie, more than One view - Technically impeccable, Logically despicable, Largely watchable, Definitely arguable. One View - Superb picturization; attention to minute details such as splashing water on road, flashing lights under pass, when truth is a lie and firing sound in thoughts when a lie is truth; proved emotional brilliance and improved dancing finesse by the lead actor; latest trend in action and chasing sequences on water, road and air borne; music beating fast and supporting cast; compact though complicated, plot and richness in making with an underlying innovation in science for the taking... nice. Other View - Illogical screenplay with acts of downgraded journalism playing with lives of farmers and famous; antagonist's wait for two decades - to just get a Rubik's Cube solved and to kill a taxi driver with his own taxi; a boy who could not even remember his way back to home, develops a perfect photographic memory all by himself (since director seems interested in copying photos just like the Mom-Child snap! ); protagonist showcased as a Rock Star has only one song to display that image, but numerous lengthy chases as a Rocket Star; and then we have the same Rotary act of Hero shooting all targets around him with a gun in each hand without getting hit/hurt (shades of Pokiri/Dookudu/Business Man - again and again, why man?) and all the race for just a grain of rice! Well, the attempt is absolutely new; but can tempt only few... This is just, my review. 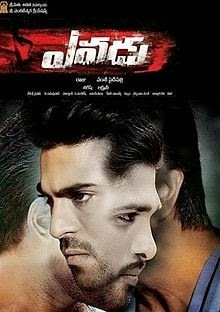 Yevadu (Who is he?) - One movie, Two stories, Three heroines, Four targets, Five minute appearances, Six songs, Seven postponements of release date, Eight million budget, Nine fights, Ten month transformation, Multi-lingual release and Much speculation; only to end with a response... Ayyo Papam (Oh my bad!). A mix of plots and screenplays taken from films like Face-Off, Kahona Pyar Hai, this movie becomes so predictable and lengthy in second half that the first half becomes totally delinked by the end. Horrible fights, Terrible taking, Undurable music and Unsurable logic. The movie seems over-paid by interval and over-made by the end. Ilanti 'Yevadu' nunchi 'Brochevadevadu...'! Uyyala Jampala - A short and lovely film about long lasting love. Lively performances by the cast blending with the natural scenic background. A complete family entertainer with neat taking and cute narration. But for some technical glitches, the movie provides a good impression overall on all the aspects including screenplay, comedy, dialogues and songs. More watchfulness from the director and more finesse from the actors and we can expect some more good stuff as this from them. Simply and sweetly rocking. A very happy, prosperous, joyful and peaceful new year (2014) wishes.